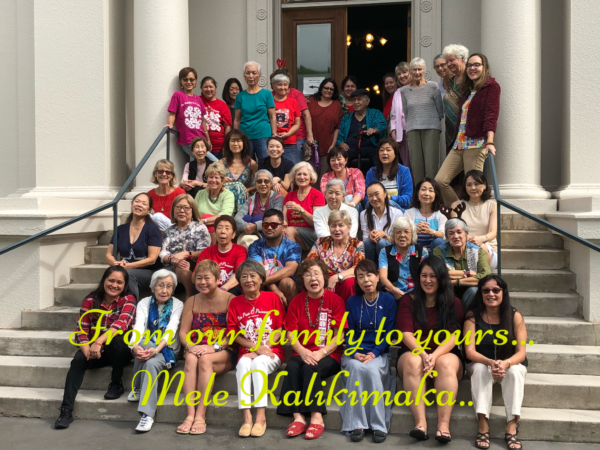 December 2017 - Hawaiian Quilting With Poakalani & Co. So during one of John’s creative moments he designed 6 amazing circular patterns. I believe they are some of his best designs and many others also agree but during this creative moment he randomly gave away the original designs(I think we have copies, no sure yet) So it’s always a surprise when someone comes to the class and opens up the quilt they’re working on and finding one of the circular designs. 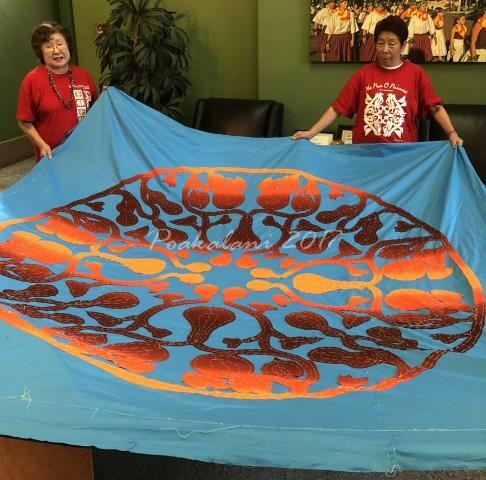 The Ipu(Gourd) quilt designed by John Serrao a work in progress by Pineapple Keiko. Amazing colors. 45" x 45" Quilt Designs, Design First Comments Off on Hokulea…. I’ve always wondered how many patterns John created with the same theme. The monsterra is always popular, the hibiscus, Heliconia and especially the pineapple but with the recent voyage of the Hokulea… it has now become one of popular designs to quilt. 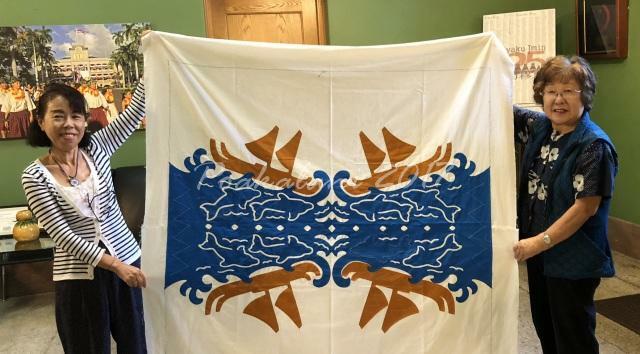 Tomiko’s (on the left) Hokulea wall hanging. Loving those dolphins in the waves. Using not only the technique of needle turn applique but also reverse applique. Can’t wait to see it completed.